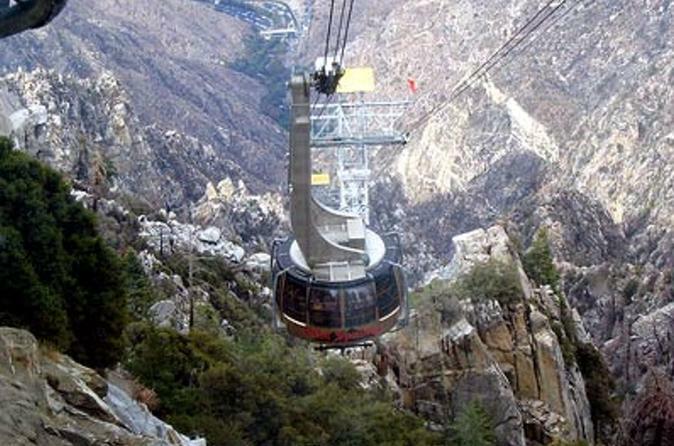 Enjoy a round trip day tour to Palm Springs, take the tram, hike, enjoy a wonderful day. Heading through the mountains towards the oasis which is Palm Springs, we head to the Palm Springs Tram and climb Mt. Jacinto on a rotating tram and enjoy the spectacular views, we drive up 2000 ft then climb another 8000 ft with the tram (no stress), there is optional eating at the top of Mt. Jacinto or a picnic at the Thousand Palms Oasis Preserve in the Coachella Valley Preserve where we will go on a nature trail hiking, easy 1 mile or 3 mile hike to the San Andreas fault and step on the most menacing fault in the United States, this is earthquake country, the oasis are clustered along the San Andreas fault where springs are formed from the gaps in the earths plates. Mind blowing, after spending at least 3 hours here we head back to Los Angeles.